Maintaining a yearly “calendar” plan for managing your pasture can help you get the most out of it! Healthy, unstressed plants will begin to grow earlier in the spring, produce more during the summer, and continue later in the fall. What follows is a basic seasonal pasture calendar. Start animals early on firm, well-drained pastures. Graze fields 1 to 2 times in the early spring and hay later. Put animals in when grass is 6 to 8 inches. Take them out when grass is 2 to 3 inches. Make hay or bring in additional animals to take advantage of increased growth in the spring. Leave more than 3 inches of grass to cool ground and conserve moisture on hill pastures. Feed hay and grain to rest a cool-season pasture that is not irrigated. Mow to remove weed seed heads, and drag a chain to expose parasites in manure droppings. Spot-spray troublesome weeds, following label directions. As fall approaches, graze dormant pastures low enough to expose the plant crown to fall rains. Graze animals on fall growth and leave at least 3 inches of grass. Test soil fertility and pH for pastures to be seeded next year. Lime if needed. Take animals off pastures by November 1 if soils are wet or grass is short. Take animals off of wet soils and confine them to the heavy use area or a well-drained pasture. This is one of the most important things you can do for wet pastures. Deep hoof prints and a chopped up ground surface are signs that soils are too wet to pasture. Saturated soils are common from November through March. Use grassed buffer strips around animal yards and heavy use areas. The grass will trap sediments and nutrients that may runoff from this area. 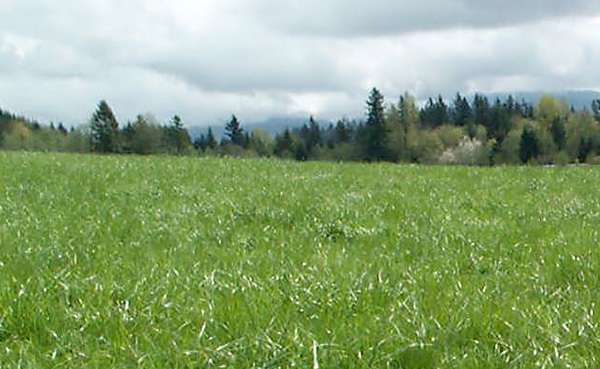 Use controlled grazing on well-drained pastures where grasses are actively growing. Light cattle or sheep will control winter annual weeds. Graze no lower than 3 inches.